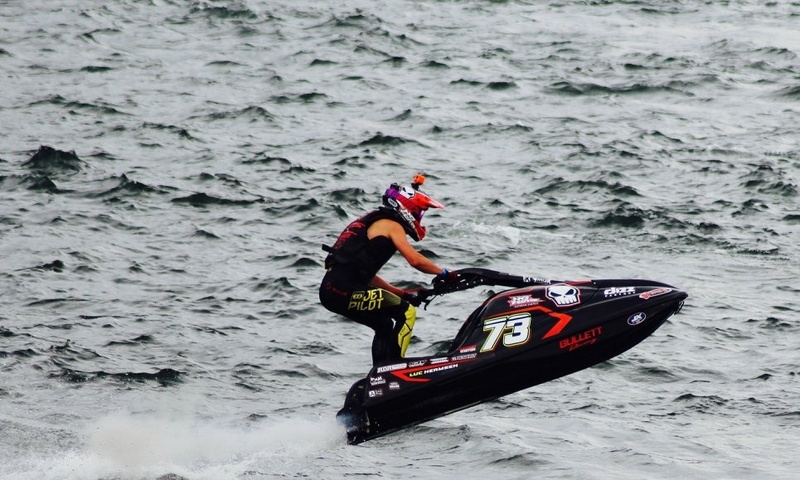 Luc Hermsen is a professional jet ski racer out of Europe. Here we take a look at how he got into this form of racing, and we get an in-depth look at his custom Bullett race ski backed by ProX. Many know all too well that the sport of motocross racing can bite back at any time. Luc Hermsen was a young motocross racer aspiring to make it big when he had a major crash and suffered serious internal injuries. After recovering from that accident, he decided he didn’t want to risk something like that happening again, but he still wanted the adrenaline rush of racing a high-performance machine. 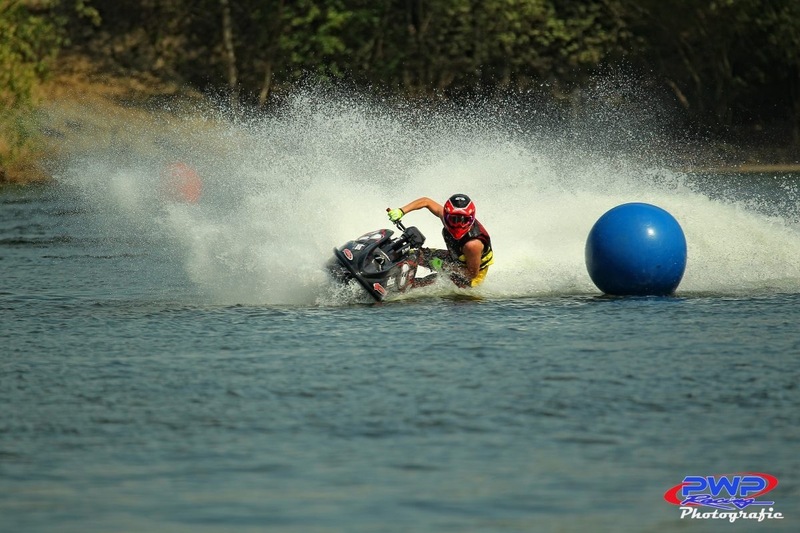 Luc decided to transition into jet ski racing, and quickly worked his way to the top. Hermsen made the move from motocross to jet skis after experiencing a life-threatening accident on his dirt bike. Now 18 years old, Luc currently resides in Venray, Holland, but competes in countries such as Germany, Belgium, and the Netherlands. 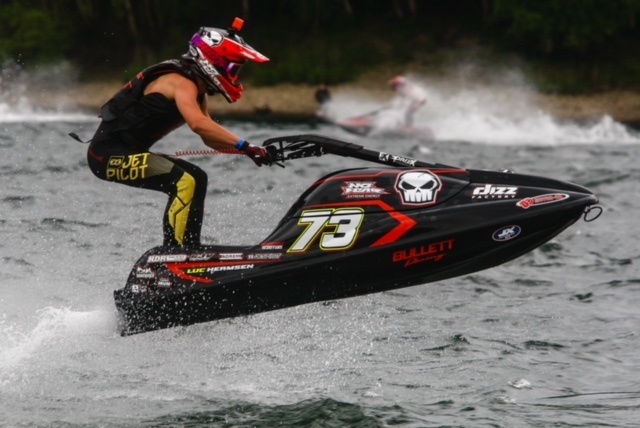 Within just three years of beginning his jet ski career, Luc founded himself lining up in the Ski GP and Ski Open classes, competing among the best. 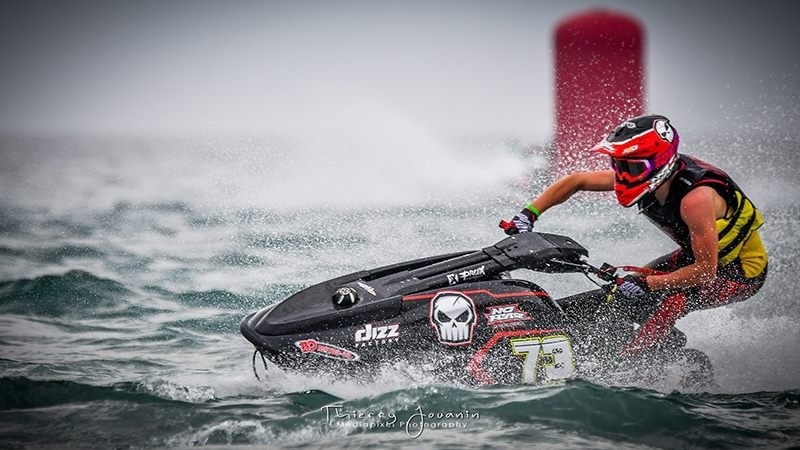 Last season, Luc competed in the UIM Aquabike World Championship, which is a sanctioned championship that hosts multiple forms of racing in different areas of the world. This season, Luc is competing in the P1 Jet Cross World Championship, as well as Championship series races across Europe. Hermsen has competed for multiple different championships in Europe, and is the running with the top riders this season as well. When it comes to the race machines, Luc’s skis are enough to get any motorsports enthusiast drooling, whether you’re into jet skis or not. Here, we’ll take a deeper dive into the custom-level awesomeness that makes up a world-competition-level jet ski. The hull is a Bullett V3 model. Bullett is an aftermarket hull manufacturer out of Lake Havasu City, Arizona that has a wide array of experience in fiberglass and carbon fiber work. The ski may look similar to a Kawasaki 800 SX-R, but there are changes throughout the entire design that make it very different. The V3 is longer than many other race hulls to improve stability for racing, whereas freestyle skis would normally have much shorter hulls. The ridges and grooves on the bottom of the hull are unique to Bullett’s design, which was made to optimize responsive steering and handling. The tray is also made to sit lower than standard skis, improving rider input and stability. Here's Luc demonstrating the enhanced cornering responsiveness and handling of the Bullett V3. Pop the hood off the Bullett V3 and you’ll find an 1100cc Kawasaki triple-cylinder two-stroke engine. The engine is ported for more responsiveness and a harder pull. 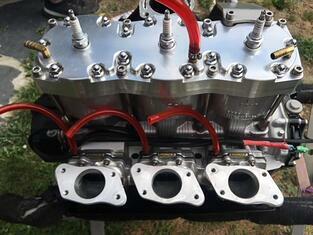 The engine is equipped with an Ignitri D66 ignition and is fed by Novi-Tec 48mm carburetors. On the opposite side of the cylinder, the engine utilizes the factory Kawasaki exhaust system. The 1100cc triple houses ProX Racing Parts pistons, and the engine is spun with the help of ProX bearings. Luc also uses OEM-quality ProX gasket kits to keep everything sealed up. 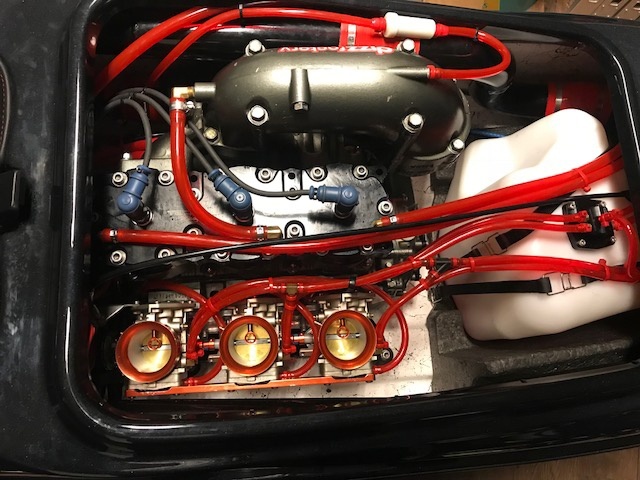 Luc's Bullett is powered by a triple-cylinder, 1100cc Kawasaki two-stroke equipped with ProX pistons, bearings, and gaskets. 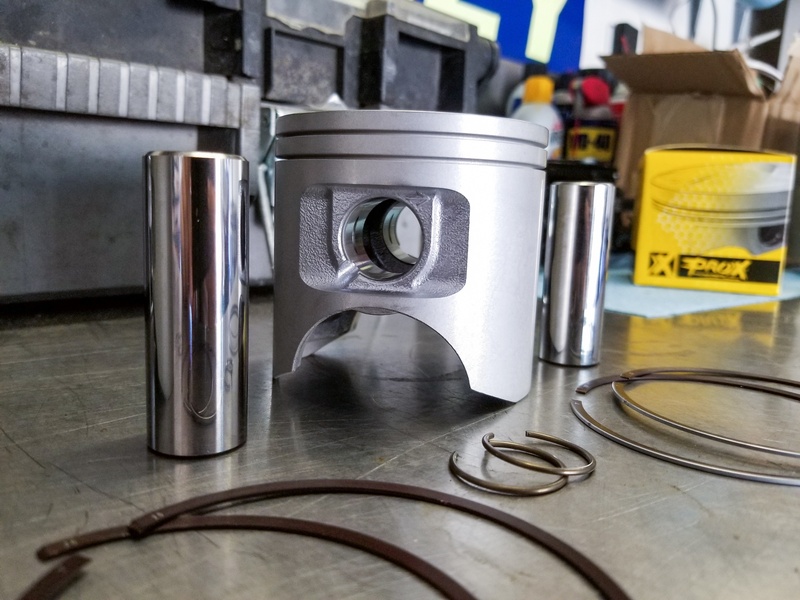 ProX cast, two-stroke pistons are beneficial in jet ski racing applications because they are manufactured from hypereutectic aluminum–meaning they have a higher silicon content to help reduce thermal expansion and make them harder. Less thermal expansion allows for tighter piston-to-wall clearance, which translates to more power. Find ProX parts for your ski here. ProX two-stroke pistons have a higher silicon content, allowing for tighter clearances, ideal for both racing and recreational applications. Like many racers, Luc has a practice ski and a race ski. Both are equipped with similar 1100cc triples, but the practice engine is toned down slightly to ensure longevity. Luc’s practice engine is making around 145psi of cranking compression per cylinder, while his race engine is pumping just short of 190psi. 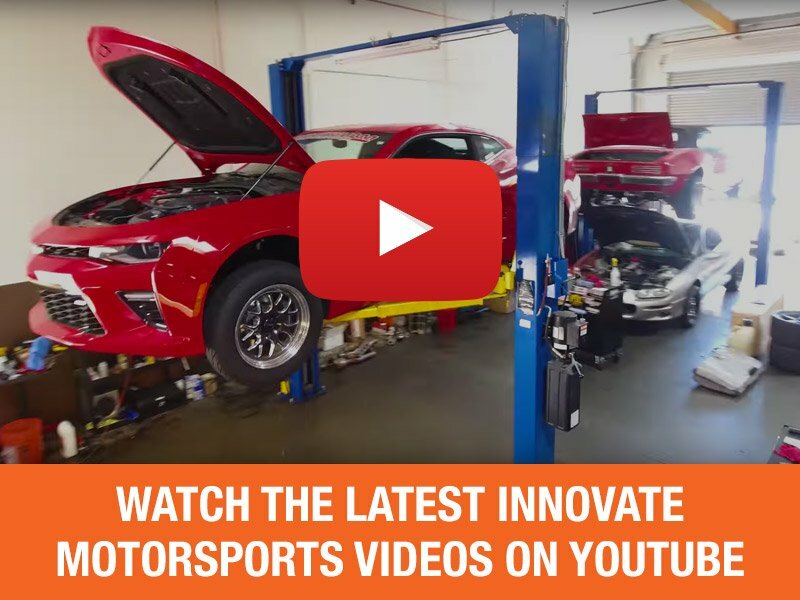 Click here to check out our 800 SX-R rebuild! Hermsen currently sits second in both the Netherlands and Belguim Ski Open Championships, as well as riding the top 5 line in the P1 Jetcross World Championship. ProX wishes the best of luck to Luc for all his future races, including the future trip to World Finals. Luc’s list of sponsors includes: Bullett Racing, Jet Pilot, No Fear Energy, BO Motor Oil, ProX Racing Parts, Wiseco, Dizz Factory, Verkroost, 100%, and Teng Tools.